Ivan Petrovich Pavlov (Russian: Иван Петрович Павлов) (September 14, 1849 – February 27, 1936) was a Russian physiologist, psychologist, and physician. He was awarded the Nobel Prize in physiology or medicine in 1904, for research pertaining to the digestive system. Pavlov is widely known for first describing the phenomenon of classical conditioning, which led to great advances in understanding learning as studied in comparative psychology, and to the school of psychology known as behaviorism. His work was outstanding as a pioneer researcher of human nature and behavior using scientific techniques. Although he held strong views about human nature, especially denying dualism between mind and body, and rejecting the spiritual aspect of human nature, he was a true scientist who was always willing to modify his theories based on the evidence. Ivan Petrovich Pavlov was born in Ryazan, Russia on September 14, 1849. His father, Peter Dmitrievich Pavlov, was one of Ryazan's most respected clergymen. For the previous six generations, the Pavlov men had served the Russian Eastern Orthodox Church. Consequently, it was expected that Pavlov would become a seminarian. In his early years, Pavlov attended the Church school and began his higher education at the Ryazan Theological Seminary, which he graduated from in 1869. After reading the writings of Russian physiologist I.M. Sechenov, The Origin of Species by Charles Darwin, and being stimulated by the ideas of D.I. Pisarev, Pavlov abandoned his religious career to become a man of science. In 1870 Pavlov enrolled in the Natural Sciences program at the University of Saint Petersburg, where he studied physiology and chemistry under Dimitri Mendeleyev. By 1875, he graduated from the University of Saint Petersburg, and in 1876 began his studies in medicine at the Military-Medical Academy, from which he graduated in 1879. In 1881 Pavlov married Seraphima (Sara) Vasilievna Karchevskaya. Seraphima suffered from a miscarriage, their son Wirchik died unexpectedly as a young child; another son, Vsevolod, died in 1935, and a third son, Victor, died in the White Army. The death of his children affected Pavlov profoundly. After Victor's death, Pavlov, who had always followed a strict schedule, began to suffer from insomnia. Despite these tragedies, two children survived, one son and one daughter, Vladimir and Vera. In 1883, Pavlov received his received his medical doctorate degree from the Imperial Medical Academy and submitted his doctoral thesis entitled The Centrifugal Nerves of the Heart. A year later, in 1884, Pavlov was appointed lecturer in physiology at the Military-Medical Academy. By 1891, Pavlov became the director of the department of physiology at the Institute of Experimental Medicine. From 1891 to 1900, Pavlov did the majority of his research on the physiology of digestion. In 1897, Pavlov published his Lectures on the Functions of the Principal Digestive Glands. It was in 1889 that Pavlov surgically altered a dog's digestive system so that it would eat, but the food would not reach its stomach. He observed that even in the absence of food, the stomach excreted gastric fluids. Then, in 1904, Ivan Pavlov received the Nobel Prize in Physiology or Medicine for his accomplishments on the physiology of digestive glands. However, a year earlier, in 1903, Pavlov had begun his famous research on the reflex reactions of animals, which he continued thereafter. By 1907, he was elected as the Academician of the Russian Academy of Sciences and was given an honorary doctorate from Cambridge University in 1912. Pavlov and his research thrived within the communist Soviet government, as some government officials perceived his research as having invaluable potential for brainwashing. However, Pavlov vehemently opposed such an application. 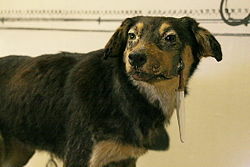 Despite this, however, Pavlov continued to praise the government for its support of scientific research. But even this praise ceased after Pavlov returned from his first visit to the United States in 1923. Pavlov then began to publicly denounce communism, stating that the basis for international Marxism was false. In 1924, when the sons of priests were expelled from the Military Medical Academy in Leningrad (the former Imperial Medical Academy), he resigned his chair of physiology announcing, "I also am the son of a priest, and if you expel the others I will go too!" (Crystal 1995). After the murder of Sergei Kirov in 1934, Pavlov wrote several letters to Molotov criticizing the mass persecutions and subsequently demanded the clarification of cases pertaining to several people he knew personally. Pavlov's reprimands of the government, however, did not censure his research. When Adolf Hitler came to power in Germany, Pavlov made his peace with the Soviet government, and in 1935, they built a laboratory for him. The next year, in February 1936, at the age of 86, Ivan Petrovich Pavlov died of pneumonia in Leningrad. His laboratory has been carefully preserved. Pavlov was a sagacious operator who kept a strict schedule of his working hours and habits. He arrived at work at the same time every morning, fed his dogs at the same time each day, held weekly meetings that he called his "Wednesdays" regularly for 15 years at his laboratory, and it is even said that he would leave Leningrad for his vacation in Estonia on vacation on the same day each year. In the 1890s, Pavlov investigated the gastric function of dogs by externalizing a salivary gland so that he could collect, measure, and analyze the saliva produced in response to food under different conditions. He noticed that the dogs tended to salivate before the food was actually delivered to their mouths. Intrigued by this, he set out to investigate this "psychic secretion," as he called it. Soon after, he began to carry out a long series of experiments wherein he manipulated various stimuli that occurred before the presentation of food. It is popularly believed that Pavlov always signaled the occurrence of food by ringing a bell. However, his writings indicate that the use of a wide variety of auditory stimuli, including whistles, metronomes, tuning forks, in addition to a range of visual stimuli were used. He thereby established the basic laws for what he called "conditional reflexes," reflexes that became "conditional" once the pairing of a conditioned stimulus (referred to as a CS) and a conditioned response (referred to as a CR) became evident. Although Pavlov's interest was in establishing universal laws of learning and other psychological functions, he became aware of individual differences among his subjects. He carried out several experiments on this, theorizing that there were innate aspects to the subject's nature, which he termed temperament, and learned aspects which he termed "character." To his surprise, cowardly versus brave behavior on the part of dogs turned out to be part of "character," i.e. environmentally determined, not physiologically based temperament (Pavlov 1955). Later in his life, Pavlov became particularly interested in trying to modify conditioning to establish an experimental model of the induction of abnormal tendencies. Pavlov's term "conditional reflex" ("условный рефлекс") was mistranslated from the Russian as "conditioned reflex," and other scientists reading his work concluded that since such reflexes were conditioned, they must be produced by the process of "conditioning." As Pavlov's work became known in the West, particularly through the writings of John B. Watson, the idea of conditioning as an automatic form of learning became a key concept in the development of comparative psychology, and of the foundation of the psychological approach known as behaviorism. Pavlov's discoveries have had a deep, acute impact on both of the disciplines of psychology and medicine. Pavlov had the ability to take his findings and apply them to the external world. For example, he advised psychiatrists that their patients would be more suited in a quiet environment with few stimuli in order to decrease the likelihood of outbreaks caused by conditioned reflexes. Pavlov's research on conditional reflexes greatly influenced not only science, but also popular culture. The phrase "Pavlov's dog" is often used to describe someone who merely reacts to a situation and fails to use critical thinking. Pavlovian conditioning was also a major theme in Aldous Huxley's dystopian novel, Brave New World. Pavlov, I.P. 1902. The Work of the Disgestive Glands. London: Griffin. Pavlov, I. P. 1927. Conditioned Reflexes: An Investigation of the Physiological Activity of the Cerebral Cortex. London: Routledge and Kegan Paul. Pavlov, I.P. 1928. Lectures on Conditioned Reflexes: Twenty-five Years of Objective Study of the High Nervous Activity (Behavior) of Animals. Translated by W. Horsley Gantt. New York: International. Pavlov, I.P. 1955. Selected Works. Moscow: Foreign Languages Publishing House. Pavlov, I.P. 1994. Psychopathology and Psychiatry. New Jersey: Transaction. Crystal, Ellie. 1995. Ivan Pavlov. Todes, D. P. 1997. "Pavlov's Physiological Factory" in Isis. Vol. 88. The History of Science Society. p. 205-246. This page was last modified on 10 March 2018, at 23:04.